Winter is the season connected to our Kidneys, the batteries of our body. Winter is also the season that invites us to rest and recharge. 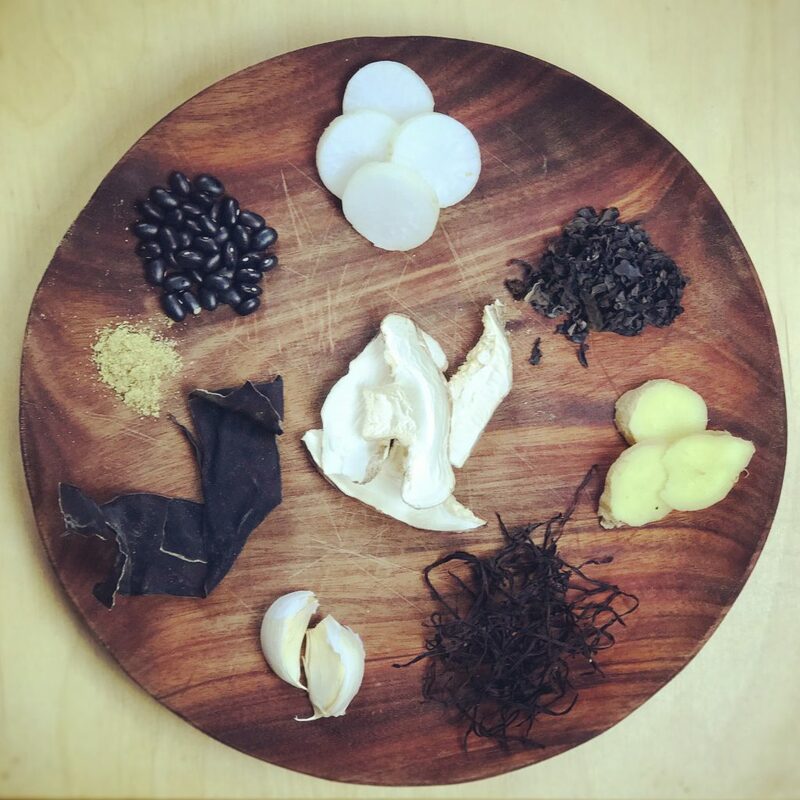 This healing Black Bean Seaweed soup works as a tonic to help recharge your kidneys and increase your energy, especially if you are recovering from a stressfull period in your life. According to Chinese Medicine black food and a salty taste are naturally foods that your kidneys like. Although your kidneys ‘like’ the salty taste, please do not overdo it! And please use unrefined sea salt (grey of color) or Himalayan Salt (from your organic store), no table salt, which has a very high concentration of sodium and doesn’t contain any of the minerals your body needs to stay healthy! 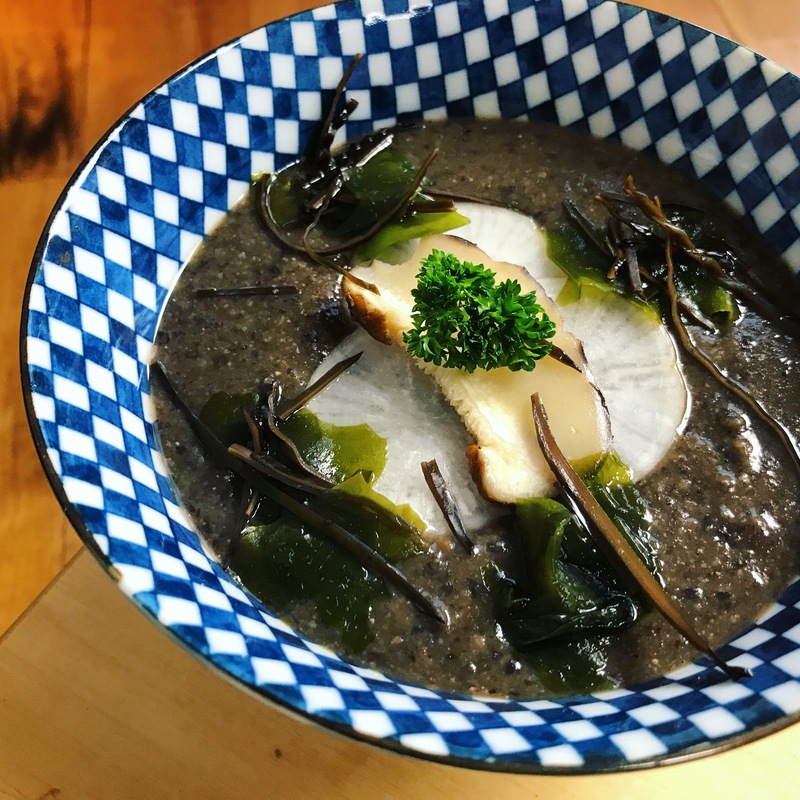 In this healing recipe we use the natural salty taste of the powerfoods Arame, Kombu and Wakame. Never cooked with seaweed before? Enjoy this new discovery! Please note: This is a slow food recipe, start to boil your beans on time, they will need about two hours to get fully cooked! Add most of the two seaweeds (I like to keep some aside for garnish) and cook a little while longer until the beans are soft. Turn down the heat, leave to stand for a few minutes. Then add the miso and stir. Add a pinch of seasalt if neccesary. You can either blend the soup with an immersion blender or eat it just as it is. Garnish with some raw thin slices of Daikon, some shitake and some parsley. You can use a dash of soy sauce to taste.